Ballet Wichita has entertained Kansans for more than four decades. The company’s mission is simple: to advance the art of dance through performance and education. By allowing more than 95 dancers ages 8 to 60 an opportunity to perform, Ballet Wichita provides them a chance to learn and shine. The company’s artistic director, Jill Landrith, has choreographed dozens of ballets for almost 15 years. In 1997, she became artistic director of the company her mother, June Landrith, founded in 1974 as Metropolitan Ballet of Wichita. In 2006, the company’s name was changed to Ballet Wichita. Ballet Wichita provides a family-based atmosphere where dancers perform year after year, as well as a revolving door that leads to college and professional careers. Because the company does not have a school attached to it, dancers from all area companies and colleges are welcome to participate. Dancer Sam Corridoni, 18, will head to Jackson, Miss., this fall and dance professionally for Ballet Magnificat, a Christian dance company. Corridoni began dancing at 14. Corridoni just closed the free Ballet Wichita production of “Peter and the Wolf.” Corridoni played Peter, and Eilerts performed as the wolf. Landrith, who also teaches at Wichita State University and Wichita Children’s Theatre and Dance Center, said she doesn’t feel like she’s working when she is. “I have the best job in the world,” she said. 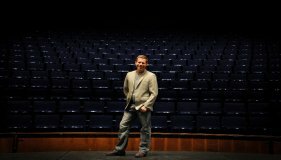 In addition to continuing on with the company’s annual “Nutcracker” ballet and summer program, Landrith hopes to explore new venues for a spring show and beef up the touring component. She also wants to offer more master classes. 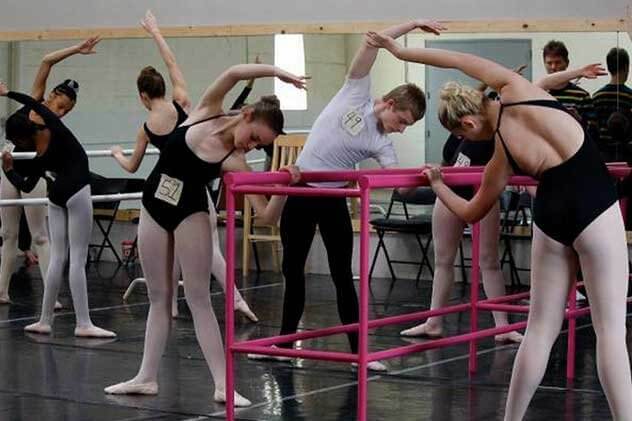 By providing more classes and more performance outlets, Ballet Wichita will give their dancers more experience and exposure. The company also will bring ballet to rural Kansas. 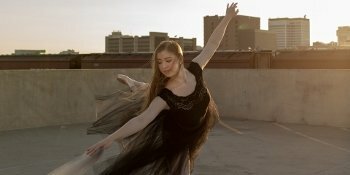 The company estimates that almost 12,000 people watched at least one performance by Ballet Wichita last year, but Landrith and others hope that more people will develop an appreciation for ballet.